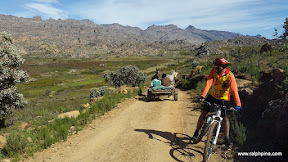 Our last visit to Heuningvlei, in the Cederberg, was so pleasant that we decided to make it a weekend base for some leisurely exploration around the area, which incorporates the Wupperthal Commonage. Some hiked to Middle-Krakadouw, others took a donkey cart tour, while we elected to cycle around the various mission settlements (“buitestasies”), some along the upper reaches of the Tra-Tra River. The cycle is a scenic circuit of some 26.5 km. We chatted to a locals, learning about the life of a subsistence farmer who leases land on the commonage from the Moravian Church mission at Wupperthal. It is a hard, but simple life. A highlight was a refreshment break at Heiveldt to sample the local tea and freshly-baked bread from the outdoor oven. 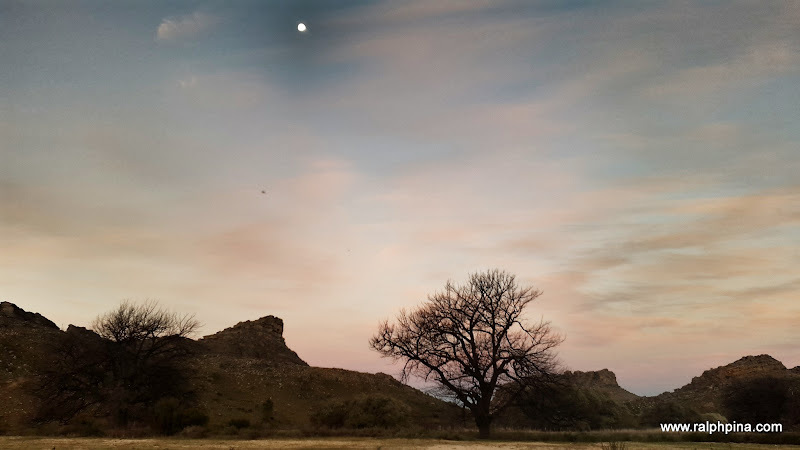 The locals are warm and hospitable and crave company – although one old “oom” when pressed about how he came to live at Heiveldt, a hamlet of five houses, declared that his birthplace, Heuningvlei, was too busy and noisy for his liking. To appreciate this comment you need to know that Heuningvlei is home to fewer than twenty families. By comparison Wupperthal is a metropolis.